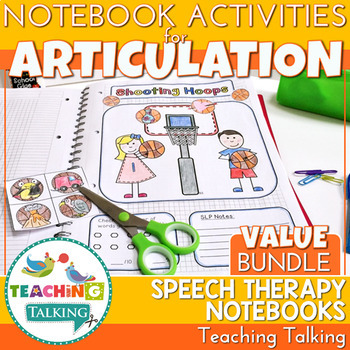 Year Round Therapy Materials for Mixed Articulation Groups. When I discovered the concept of interactive notebooks or journals, I just knew it could work so well for articulation therapy. I have tweaked the concept to make sure that busy SLPs can use these materials to help overcome the challenge of mixed articulation groups (students working on varied targets or even different grades). I love that students can create a week by week project to be proud of yet at the same time, have plenty of opportunity for drilling their target words or phrases. 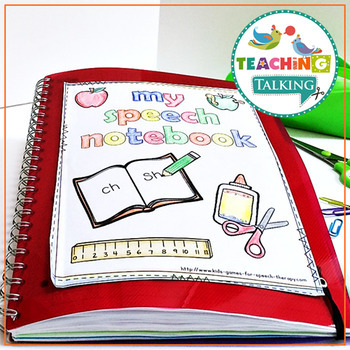 The activity is low prep for the busy SLP as the notebook activity is completed by the student during their session. Just copy the required number of pages and you are done! This blog post provides a detailed overview of the articulation notebooks in use with plenty of photographs for you to see the detail. Click here to read more and see images. If you are on the fence, read a selection of the hundreds of positive reviews to find out just how much previous buyers LOVE this product! All sets have 30 cards representing initial, medial and final word positions. 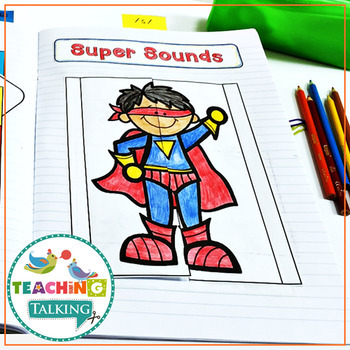 Print and laminate the full color set for your speech room and the black line version for each student. ★ “I can…” statements for each sound. 14 of the pages can be used at any time of year, 4 are seasonal and the remainder depict the most popular holiday themes. ★ 24 matching "target word" pages of mini images. **Now also includes a blank sheet for each theme to allow you to add your own words or pictures should you wish to customize. Articulation Notebooks Templates - open ended pages to extend your notebooks for higher level carryover and language tasks.